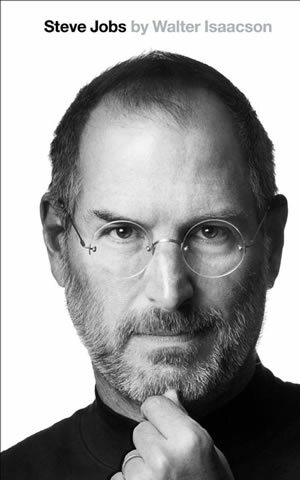 BOOK SUMMARY: A riveting biography about the brilliant and sometimes controversial icon, Steve Jobs. 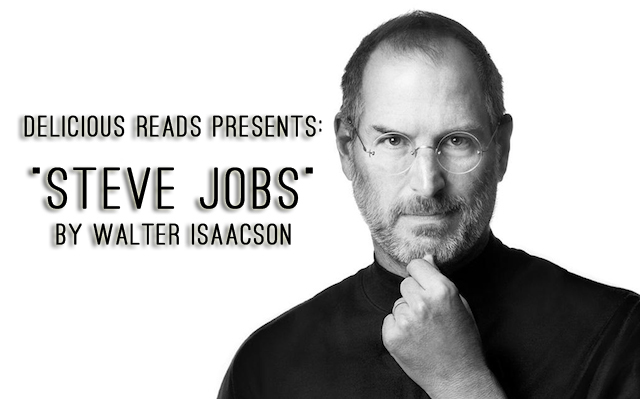 Walter Isaacson interviewed more than forty people over a span of two years to come up with an accurate portrayal of Steve Jobs. Steve Jobs was a very layered and complex genius, developing Apple, and Pixar, among other things. Steve was anxious to get his story out, as even from a young age he felt he wouldn’t live a long life. Steve approached Walter Isaacson several times about writing his biography because he felt that Mr. Isaacson wouldn’t mince words. Steve didn’t even request to see the book before it was published. He knew that people would have a variety of impressions about him, but in true Steve Jobs fashion, he seemed to think that part was irrelevant- what mattered was the product. We collectively gave “Steve Jobs” 4 Stars! Bethany did an amazing job with her presentation on this book! Steve Jobs thought PowerPoint presentations were worthless. In his mind, if you needed a PowerPoint to do the presentation, you didn’t know your topic well enough. Bethany applied Steve Jobs’ view and did NOT use a PowerPoint. Instead, she had this really fun and artsy matching game THAT SHE HAND CRAFTED (be sure to check out the pictures from the night because they were FABULOUS!). If we didn’t come up with a match, we could either answer a discussion question or pick a random activity to complete. For one activity, we came up with adjectives describing him, which brought out many of his complexities. His personality was so layered- we decided he was the most complicated real person we’ve ever read about. His dramatic highs and lows, his drive to push things through faster but not sacrifice on quality, his feelings on his biological parents and then how he wasn’t around for much of his own daughter’s life, his ability entrance huge groups of people or sometimes break down in tears, his radical views on being healthy through his FRUITARIAN diet but lack of care about medical diagnosis- ALL of these things were somehow woven into one complex and brilliant man. WOZ: With respect to the working relationship of Steve and Woz (Steve Wozniak- who developed Apple with Jobs) we concluded they balanced each other out. Woz’s easygoing personality helped to simmer Steve down, but Woz also would have given out the Apple technology for free- Jobs was able to make it into a thriving company. GATES: We talked a lot about the similarities/differences and rivalry between Steve Jobs and Bill Gates. They were both incredibly smart and driven, but when it came down to it, they just saw things differently. Steve wanted end to end control over the products. Steve said Bill didn’t INVENT things. Bill said Steve couldn’t CODE. Their differences both brought about amazing companies, allowing them to maintain a (small) dose of respect for one another. FAMILY LIFE: When the question of how his marriage was able to last with all of his personality quirks came up, we decided she must have been pretty understanding and forgiving of his tendency to disappear from family life and then reemerge when he felt like it. It seems like he excelled in whatever he chose to focus on- which was more often his work than his family. Some people debate if his sacrifice was worth the success, which only leaves us each to have a personal opinion. But no one can question his love of, or devotion to, Apple. NATURE vs. NURTURE: Steve was adopted, which brought up a discussion of Nature vs. Nurture. Then discussion went one step further- he was adopted by wonderful parents, but he still quietly dealt with feeling abandoned all his life. Paradoxically, despite his own feelings, he more or less abandoned his own daughter years later. Once again, Steve leaves us with no explanation about his behavior. Steve was often controversial, but once he believed in something, he stuck to it. Take the 1984 Apple Superbowl ad- if you’ve seen it, you KNOW what we’re talking about… and if you haven’t, I bet you google it right after you read this.. because everyone should see the 1984 ad. Reading this book seemed to have an impact on many of our lives- we found ourselves wondering at times what Steve Jobs would think about something, or how he would react in a given scenario. Do we settle with what we have in front of us far too often simply because its what’s available? His out-of-the-box way of doing things and innovating thinking paved the way for a revolution of several industries. Steve liked to SHOW people what they wanted… before they even knew they wanted it. That’s how he created the tactile and intuitive Macs, iPods iPads, and how he revolutionized the technology, music, phone, book, and movie industries. He also changed the customer experience across the board. We learned certain business concepts to apply to our lives. For example, he suggested focusing on ONLY on 5 things. Pick your favorite 5 and then leave everything else behind until you have them mastered. Or the concept that its okay to decide to start something over from square one if you realize there’s a fundamental problem or that what you’ve created is crap. We collectively loved connecting to the roots of many products we use on a daily basis and learning how they came into being. Steve Jobs was a walking contradiction, loved and hated by many. He passionately believed whatever he was saying at the time. He was very emotional and often hurtful to friends, people who worked for him and even his family. Often he would succumb to crying bouts and was sometimes inconsolable. He could be very sharp with his words, but he could also be the most charming, energetic and persuasive person you’ve ever met. We think Walter Isaacson did a great job with this book but had differences of opinion on if it was truly unbiased or not. But we agree that it didn’t really feel like you were reading a biography- it read more like a story and we all felt moved by something we read. Here’s an abbreviated Q & A with the author, Walter Isaacson. CNET: To what, if any extent did Jobs try to shape the way readers would perceive the book? I know you say right at the very beginning that he wanted to let it all out there. But how much did he want to know how the book would appear? Isaacson: The one thing I don't fully understand is why he was so open and repeatedly said he was going to exercise no control. He's usually very interested in controlling his privacy and image. As it went on, he just became more and more eager to talk. He kept deflecting issues of control, except for the cover. When he saw an ugly version of the cover, he got quite annoyed and said "I'm not sure people will even read the book, but they'll look at the cover." 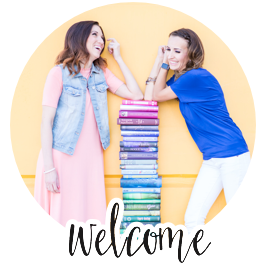 Q: Are there any misconceptions people had about Jobs you think your book might change? Isaacson: I tried to put into context the emotionalism, that sometimes was reflected in being rough on people. In the arc of the book, you see how people can stand up to him and thrive, and that emotional way of dealing with people helps weed out the mediocre from the star players who can stand up to him. "There are two sides of Jobs. There's the counterculture, rebellious, new age spiritual side of him. And on the other there's the hard-headed engineer, technologist and business side. And the theme of his life is that those are in conflict, and then he combines the two." Q: It's been fun hearing snippets about Jobs and Gates, Jobs and Ive, Jobs and Eric Schmidt. Do you have a sense about which of his technology or CEO peers Jobs most admired? Isaacson: He liked (Facebook CEO) Mark Zuckerberg because he was making a product, and not just cashing in, but making a lasting company. He told me the hardest thing to do, was not to create the company, but run it. He told me that he admired Zuckerberg for spending the effort to create a company that he wanted it to be. He told me that people who were entrepreneurs, they're not doing the hard work that came after building it. Q: Was there anything Jobs felt like he couldn't accomplish because time was running out. New products or direction for Apple? Isaacson: I did not put it all in the book, but I did mention that he would love to conquer making a TV that was a beautiful and intuitive and an iPad. He talked to me a lot about it, and I mention it in the book. He felt that he had thought of some ways to crack that code, almost out of difference, it's hard to judge it. I just didn't use some of the ideas that he was kicking around, but I do mention it. I think he was interested in education and textbooks, and how technology could be used in that regard. Q: What do you think the public will be most surprised to learn about Steve Jobs after reading your book? Isaacson: What I call the end to end integration of his personality. Not just that he was rough or a genius, it was that he connected his poetic side and his engineering side. And that, the way---even his what seems like quirks--fit into a unified field theory of his passion for perfection. That passion for perfection could be unnerving. Whether in his family life, or personal life, he ends up being successful in having people with people that follow him. Q: Did anything surprise you then? Isaacson: How emotional he was. That comes from the passion. I'm used to dealing with--as you are--people in the tech world who are not hyper emotional. And the fact that he had such an emotional engineering streak. His intention and ability to emotionally connect were even stronger than I expected. CONTENT: Steve was a very colorful personality, and so for our sensitive readers, there is quite a bit of profanity as well as discussion of Steve’s admiration of LSD. If we were giving it a rating, it would be at least PG-13, but be warned, there was excessive profanity. Be sure to check out our PHOTO RECAP of the night here!! I like to think that something survives after we die. It’s strange to think that we accumulate all this best essay writing service review experience, and maybe a little wisdom, and it just goes away. So I really want to believe that something survives, that maybe our consciousness endures. Science has gone beyond the thinking of a person as this is not difficult now to fix the artificial splints or fingers in the body and make them able to have essayservicesorg to live their lives in a more free and happy way.